Dave Felius | Dave Felius | Ecosign Mountain Resort Planners Ltd.
Mr. Felius is a Civil Engineering graduate with 25 years experience in ski area and resort planning. During this time Mr. Felius has been directly involved in most of Ecosign’s Mountain Master Planning and Development projects worldwide. These projects range in scope from site feasibility to Resort Master Plans and from conceptual lift and trail locations to detailed grading and construction supervision of ski area facilities. In addition to his responsibilities as the Senior Mountain Planner, as a member of the senior design team at Ecosign, Mr. Felius contributes to all facets of resort planning and development including both mountain and base facilities. In his years at Ecosign, Dave has been involved in the Master Plans for over 175 ski areas and resorts in 29 countries. These range from small one-lift ski areas to major resort with capacities of over 25,000 skiers per day. In addtion to Master planning, Mr. Felius has performed much more detailed work including the detailed design and grading of lift terminals, ski trails and buildings (including mountain restaurants, maintenance shops, accommodation development, etc.) Dave has also been involved in transportation analysis and planning projects at several resorts. On several of Ecosign’s projects around the world, Dave has been an on-site supervisor in charge of coordination of lift and trail construction mountain restaurant construction, infrastructure and the supervising of revegetation. He has also personally laid out many lift terminal locations and many kilometers of ski trails, as well as supervising and advising on trail clearing, slope contouring and lift terminal grading projects. Dave undertook a presentation on Ski Area Trends for the Canada Ski Council. Dave graduated from the University of British Columbia with a Bachelor of Applied Science in Civil Engineering. 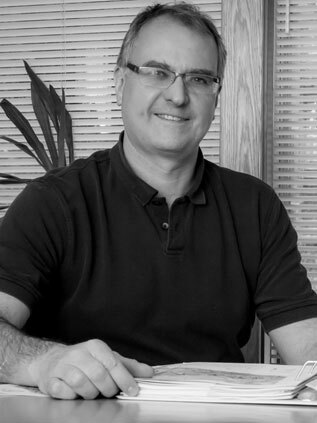 Before coming to Ecosign, Mr. Felius worked for Whistler and Blackcomb Mountains and has had experience as an Engineer in both New Zealand and Vancouver, British Columbia undertaking major civil engineering projects, including earth work, drainage and stormwater design and management projects.